Electron製メールクライアント「Nylas Mail」がv2.0へアップデートしWindowsおよびUbuntuを正式にサポート。 | AAPL Ch. 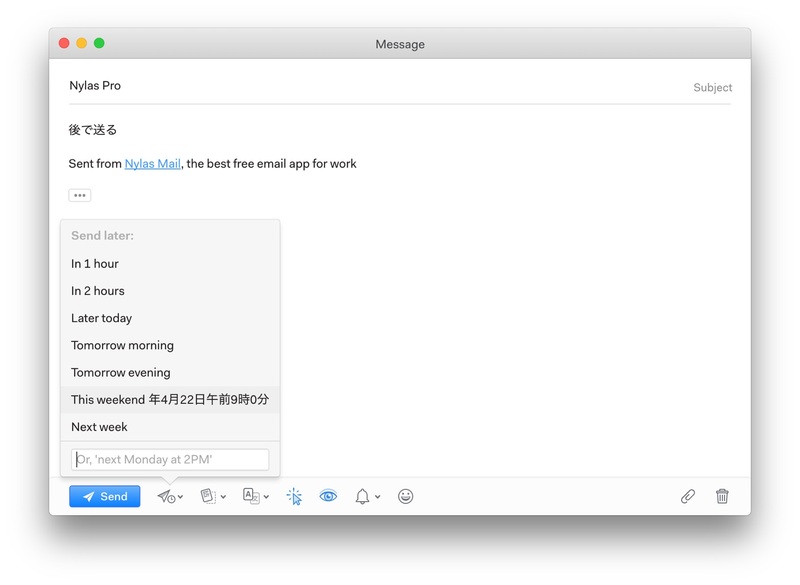 Today we are launching a big update to Nylas Mail— our flagship open source desktop email app. For the email power users, we have migrated Nylas Pro features to Nylas Mail. All Nylas N1 users will be converted to Pro users on Nylas Mail, including those who were grandfathered with a free year in 2016.